Join Blank Space and Westerdals Oslo ACT for this 100% free and open event! Saturday March 5th, 13–15 at Westerdals Film Auditorium. Blank Space is joining up with Westerdals to present a panel discussion on CONCEPT ART : What is it exactly, where did it come from and where is it going? Topics will also include personal experiences and processes of our panalists concept artists Neil Ross (UK) and Nikolai Lockertsen (NO) with moderator Hans Gunnar Brekke Head of VFX at Westerdals.. A triad of professionals with diverse backgrounds and international experience that span over 30 years in the film and animation industry! The event will be held at Westerdals’ film auditorium from 13:00 – 15:00. Free and open to eveyrone – students as well as professionals. Following the 45–60 minute discussion, the floor will be open for questions and comments from the audience. This event is held in conjunction with concept artist Neil Ross’ Solo Art Exhibition held at Blank Space from March 4th to May 4th. Opening reception will be held on March 4th from 18:00–21:00. This show features personal work ranging from 1–3 meters in size. Artist will be present, and refreshments will be served. Blank Space wishes to thank Angela Amoroso of Digital Storytelling, Hans Gunnar Brekke Head of VFX and Westerdals Oslo ACT for their support in making this event happen. On Friday, March 4th until May 4th 2016, Blank Space is opening its newest exhibition, a solo collection of artist Neil Ross (UK). This show will feature 6 full-scale giclee prints featuring his personal geometric industrialscapes, ranging from 1 meter to 6 meters large. The opening night is open on March 4th from 18:00–21:00. Artist will be present. Neil Ross, best known for his concept and visual development work in big Hollywood films and animations such as The Jungle Book , 2014, Tron: Uprising, Paranorman, Hotel Transylvania , 2008, The Prince of Persia/ The Sands of Time, The Golden Compass, The Croods, The Corpse Bride, Space Jam, Braveheart, and The Cobbler and the Thief. However, in this show, Mr. Ross presents his personal works that encompass the depth of a true creative soul: one that does satiate at simple tasks or concepts, one that does not stop at any point in the pursuit of curiosity. His passion for creating art does not begin or end in the visual, but extends to the How’s and Why’s of the historical and the philosophical. Mr. Ross questions not only how to make a beautiful picture, filled with the skills of someone who has worked in a highly competitive business for over 30 years, but also The Golden Question of “What’s the point?”. This gives his work a uniqueness that bounds beyond something pleasing to the eye, but extends into questioning what was, what is, and what will be without pretension. Blank Space is a creative visual art house located in Oslo that works to help make the art scene in Norway stronger, healthier and more diverse. Their ambitious goals help to remove exclusivity from art, while maintaining a professional yet fun atmosphere that welcomes anyone regardless of background or income. 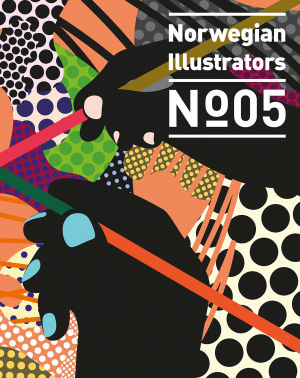 They highlight productive and qualitative artists from Oslo and around the world, focusing on under-represented art such as illustration, animation, street art, printmaking, special effects design, and more. In addition to their gallery, Blank Space works to heighten skills in creative fields by offering a wide range of classes, courses, workshops, and online tutorials to supplement the artistic education available to the Norwegian public. Private workspaces, public lectures, library, and a full-scale silkscreen studio round off the features that Blank Space readily shares with those willing to challenge their knowledge and skills. Blank Space is located 5 minutes from Oslo S, in the up and coming district of Kværnerbyen.